When you have a new baby, your whole world changes. You will quickly begin to understand just how fast moments can pass when you have a little one. Babies grow and change in an instant, especially in the early days of their life. booking a Newborn Photography session will help you to capture these moments in time – moments that are fleeting. 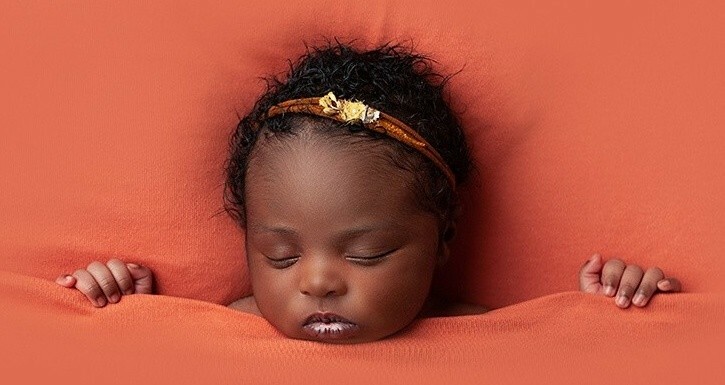 Newborn baby photography is so much more than just pictures. It is the creation of artwork and treasured memories that you and your family will be able to enjoy for years to come. You can expect your newborn portrait session with me to be easy, relaxed and fun. The days following the arrival of a baby are a whirlwind of emotion, visitors and activity. Your photography session is an opportunity to slow down for a short time and savour some precious moments with your growing family. Ideally, newborn photography takes place in the first 14 days of your baby’s life, to ensure that we can capture the sleepy, curled up images that are so unique to a young baby. However, if you have missed this window then don’t despair – older babies are equally as gorgeous and have wonderful, engaging, wide-open eyes to photograph! My approach to newborn photography is relaxed and informal. My studio is cosy, warm and very comfortable and has everything you will need to make you feel welcome. There is a coffee machine and the biscuit tin is always full! I never, ever rush during a newborn session. Your baby is in charge and we will take as many breaks for feeds and cuddles as he or she wants! I aim to provide you with the highest level of client care throughout your photographic experience and really want you to look at your photos and remember that you loved the process as much as the finished result. You can see some examples of my newborn photography here. Are you thinking of booking a newborn session for your new arrival? I pre-book in advance, based on your due date. If you would like to check availability for your baby’s photography, please fill in this form and I will get in touch with you very soon!